Gareth Southgate says he could have picked Ross Barkley as England start the inquest into another failure at a major tournament. The FA has come under fire - as has Southgate himself - as England went to the Under-21 tournament without a host of top stars that they could have taken, including midfielder Barkley. Barkley is one of those players who plays full international football but could have gone with Southgate, like Jack Wilshire and Raheem Sterling. The Under-21 head coach said: "Ross is one we have got to think about. I still think it's not clear because he hadn't kicked a ball with me for 20 months. "So to bring him into the group isn't something that would necessarily have worked. William Carvalho played in Under 21 qualifiers for Portugal, that's why he came back into their group. 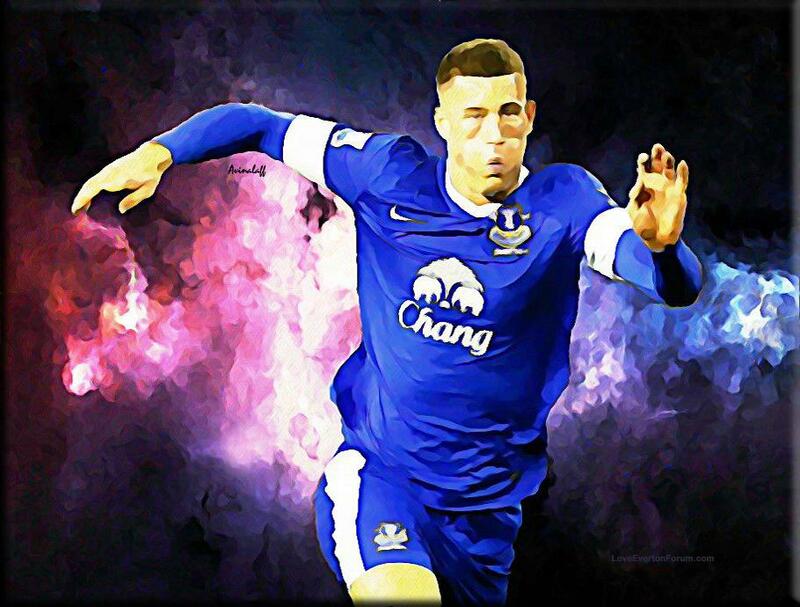 "For his (Barkley's) development, would it have been something good for his experience? An Under 21 finals is a high quality field. "The policy (of not picking star names) generally is something I'm comfortable with because we expose this next group now. Would we have seen a glimpse of Ruben Loftus-Cheek if we'd done that? Possibly not." Phil Jagielka, John Stones and Ross Barkley have been named in the latest England squad. The Everton trio were all included in Roy Hodgson’s 24-man squad for their final two Euro 2016 qualifiers later this month. 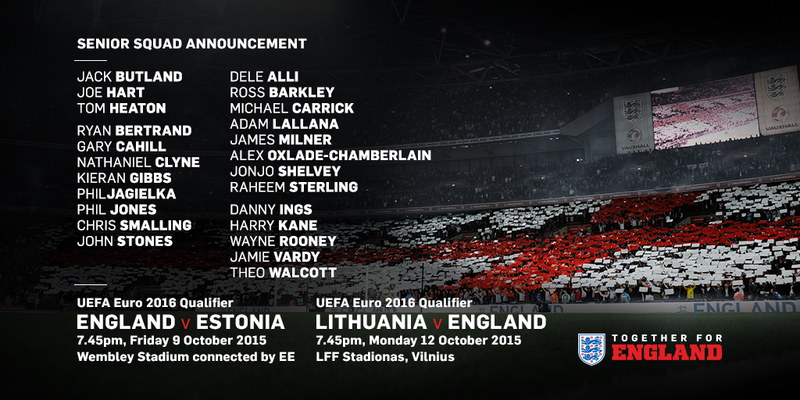 The Three Lions first face Estonia at Wembley on Friday 9 October, before heading to Lithuania on Monday 12 October. England have already secured their place at next summer’s European Championship Finals in France, with the Blues contingent playing a strong part throughout the qualification process. 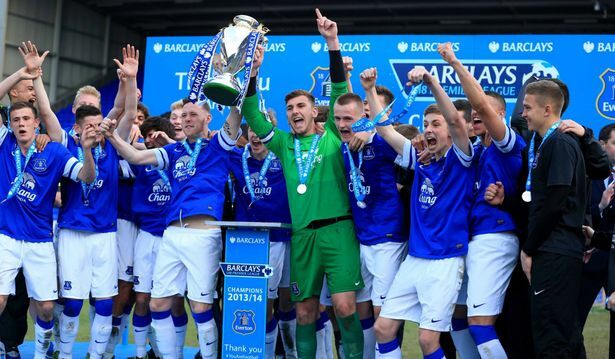 Everton duo Mason Holgate and Russell Griffiths have flown to Germany with England under-20s today. The young Three Lions are taking part in the Mercedes-Benz Elite Cup. England face Holland on Wednesday before facing Turkey and then Germany. Holgate, who joined Everton in the summer from Barnsley, was named on the bench for Everton’s game with Liverpool on Sunday. And the 18-year-old hopes to keep on impressing Martinez. 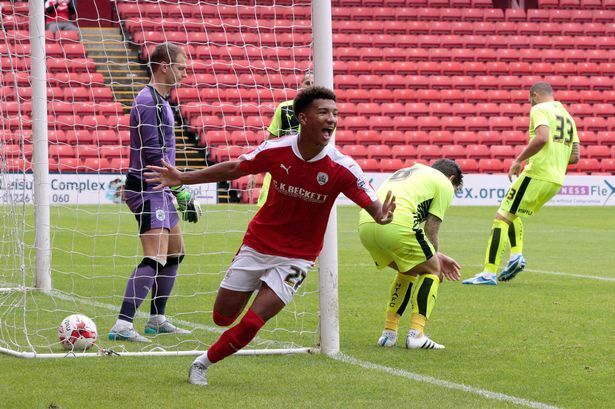 “I’m in between the first-team and the under-21s, training with them both and that’s a good place to be,” Holgate said. “Roberto Martinez has been to almost all of the games I’ve played and it’s good to know he’s there watching. 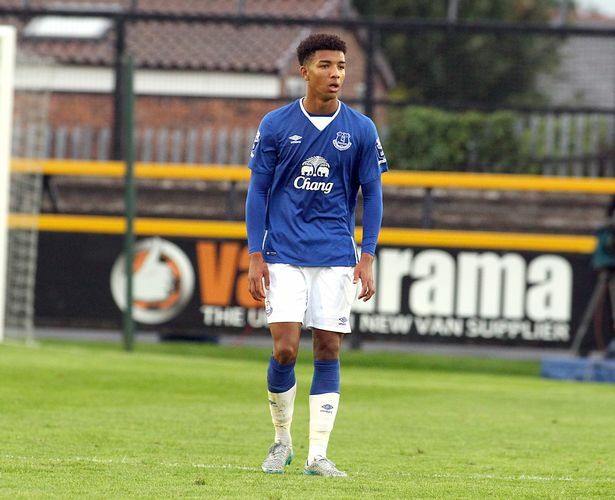 Holgate had struggled to find Everton’s Finch Farm training ground when he first joined. “I’ve got used to it now!” he said. “I know where everything is and I’ve settled in well. England’s Ross Barkley was the outstanding player in the Euro 2016 qualifying victory over Estonia at Wembley. There is one small thing that can be held against Ross Barkley after his contribution to England’s latest win and it is that Estonia were obliging opponents for a man desperate to show that it is time he is turned into a mandatory first-team pick. All the same, Barkley must have done enough here to make it difficult in the extreme for Roy Hodgson to leave him out again and his contribution to Theo Walcott’s opening goal was a piece of vision and high skill to last in the memory. Barkley was outstanding, producing his finest moments in England’s colours, and the pass to set up Walcott – a 15-yard nutmeg through a congested penalty area – was of that rare form when it felt like the pot of superlatives might run dry. Suffice to say, it was an extraordinary piece of individual brilliance and there was plenty more of that nature from Barkley before he left the pitch late on to allow Dele Alli to make his senior debut. England’s second goal had arrived a few minutes earlier via Raheem Sterling and Hodgson’s team, who have now won all nine of their qualifiers, will wrap everything up against Lithuania, another moderate opponent, in Vilnius on Monday. They are the only team in the entire process with an immaculate record but the most important thing here for Hodgson was to establish more of an idea about his best starting XI and when Michael Carrick failed a fitness test his replacement certainly grasped the opportunity to make a lasting impression. Barkley’s involvement always gives England a more exciting feel and his contribution was a reminder that a pass can be every bit as beautiful as a shot into the top corner or a mazy, dribbling run through the opposition defence. It is difficult to remember a more exquisitely delivered nutmeg inside this stadium and perhaps the most impressive part was that when he spotted the chance to go between Karol Mets’s legs it was more than just one-upmanship that compelled him to slip the ball through the gap. Barkley played the pass with equal measures of speed and accuracy and by the time Mets had turned around Walcott was six yards from goal with time to control and side-foot his shot inside the far post. It was a wonderful goal and Hodgson, one imagines, will probably forgive Barkley for the stray pass across midfield earlier in the match, giving the ball straight to the Estonian attacker Sergei Zenjov. Barkley will always be a risk-taker but amid all the acclaim he does need to be aware that, against a better team, that form of carelessness could conceivably have left his team in danger. Instead Estonia were willing yet limited opponents, in keeping with just about everything England have faced in Group E. There was a slow feel to the match and when the home team could not make the most of their early superiority the pace dropped and there was a lack of urgency to England’s play. Perhaps that was just inevitable given that England had qualified for the tournament, chosen their Euro 2016 hotel in Chantilly and arranged most of their warm-up matches, while there were still three qualifying games to go. It did, however, make it a prosaic spectacle at times for a crowd that could not even get enthused enough to arrange a proper Mexican wave during the first half. England needed their wide players to be more adventurous in that period and, without that penetration, there was a distinct lack of creativity. Walcott did send a fine volley towards goal inside the first few minutes but Mihkel Aksalu blocked the shot with both hands and, after that, it must have been troubling for Hodgson that his team could not manage a clear scoring chance until the final attack of the half. James Milner fired one shot over from a half-cleared corner and Walcott did at least show signs that he wanted to make something happen, including one deflected shot into the side-netting after a neat flick from Adam Lallana. Overall, though, it was a laboured first-half performance and there were even fleeting moments when Estonia abandoned their ultra-cautious approach to break forward. It would be an exaggeration to say Joe Hart’s goal was seriously threatened but it did need an improvised flick from Chris Smalling to turn Konstantin Vassiljev’s left-wing cross behind for a corner when a misjudgement could feasibly have resulted in an own goal. Barkley was operating in a slightly left-sided position rather than the more advanced No10 role where he has excelled this season at Everton and in the second half he continued to be prominently involved in England’s more illuminating moments. One driving run through midfield took him all the way into the penalty area before he was halted and there was also a demonstration of his ability to elude his markers in the way he side-stepped between Vassiljev and Ken Kallaste before flashing a diagonal left-foot shot past the frame of the goal. The second goal arrived in the 85th minute after Harry Kane, a prodigious worker, flicked on a long goal-kick. The substitute Jamie Vardy was given the benefit of the doubt after nudging the right-back Taijo Teniste to the ground and then squared the ball for Sterling to score from close range. Barkley had also been denied a spectacular goal by Aksalu’s save but there was no doubt about the destination of the man-of-the-match award and, in the process, he might have gone a long way to making sure he keeps his place now. I didn't watch a lot of the match as was busy but what I did see, it looked like Ross was very comfortable. He does seem to lack the finishing product though, and a bit of a headless chicken, which might might need working on.